Follow these easy steps for kicking off a trouble-free pool season!  Before you begin, be sure to have on hand all of the cleaning products recommended by your certified Sanimarc Pro retailer. He or she can advise you on which products are right for your pool. Remove water and debris from the winter cover. Clean the winter cover, let it dry and then store it. Replace the sight glass, if applicable. A sight glass is used to see colour of the water when performing a backwash. It should be cloudy/dirty, and then become clear again during the backwash. Reinstall the pressure gauge, which indicates when a backwash is needed (when pressure is 5-7 lbs. higher). Reinstall the filter drain cap. Reinstall the pump plugs (if removed). and the filter to the water return. Put the skimmer weir door back in place. Reinstall the water return parts and position them downward at a 45° angle to create a circular water circulation pattern in the pool. Fill the pool and turn the filtration system on. Vacuum the pool in the “drain” or “waste” position for heavy debris, and in the “filter” position for light debris. Top up the pool with water as needed. Pour a degreaser and clarifier directly into the pool, and let the filter run for 24 hours. Add the Opening Kit of your choice. Bring a water sample to a professional Sanimarc Pro retailer. Adjust the water’s alkalinity, pH, hardness and stabilizer levels as needed. Once the water is balanced, clean the sand in your filter. Place the bottle upright in the pump basket to remove excess water. Pour the contents of the bottle into the pump. Run the pump for 5 seconds and then stop. Let the cleaner work for 12 hours and then perform a backwash. Start your pool’s regular sanitation and maintenance program. 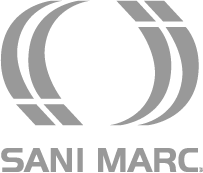 * Sanimarc Pro is a registered trademark of Sani Marc inc.
Spanaturally ® is a trademark used under license.